Agriculture Fans | Barn Fans | Farm Fans - Patterson Fan Co.
With our extensive line of fans covering a wide range of applications, we have the perfect solution needed to create airflow in livestock barns, dairy farms, equine facilities, produce farms, grow houses, greenhouses, and fairgrounds. 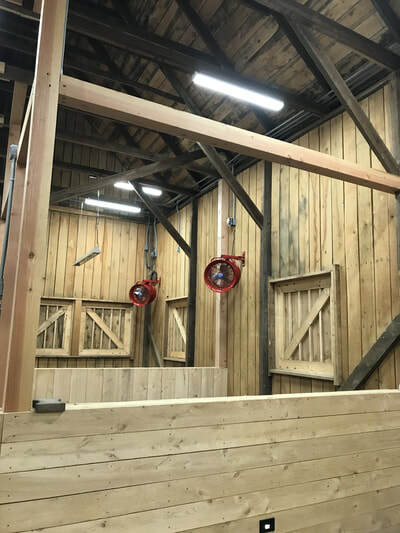 From our HVLS ceiling fans quietly distributing large amounts of airflow to our fabric air duct systems channeling air to controlled areas, we have the equipment to properly circulate and ventilate the environment within your building. 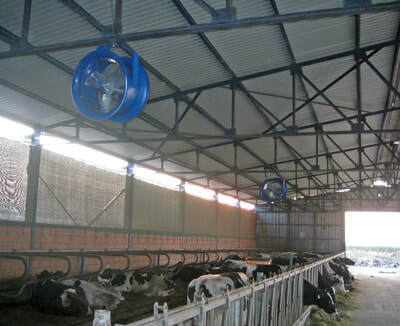 In addition to providing the obvious comfortable breeze, our fans and ventilation equipment present other benefits such as reducing condensation in stale areas, decreasing unwanted birds and insects in facilities, as well as cutting back on the demand for drinking water and heat stress on dairy cows. 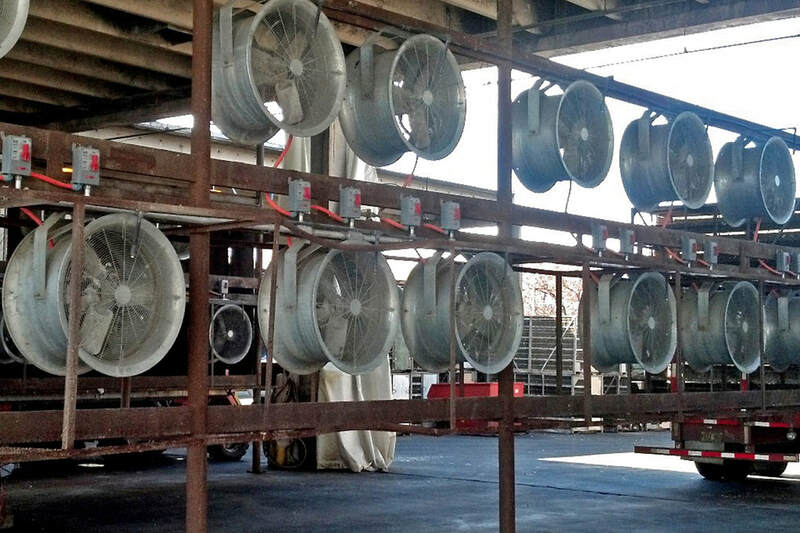 Farmers and growers have embraced our air movement technology for their ability to solve their problems. BROWSE THE PRODUCTS BELOW FOR YOUR GREENHOUSE OR LIVESTOCK AREA!